Pre-registration is required. No registrations will be accepted at door. Register online here through your CINDE account. The CINDE Ontario Chapter Executive are proud to announce their next event, held March 20, 2019 at Mohawk College (Fennell Campus). The event will be a Meet the Managers Night where each speaker will discuss what their organization does as well as what those who are new to the industry can do to stand out. The event will begin at 6:00pm and finish at 8:30pm. 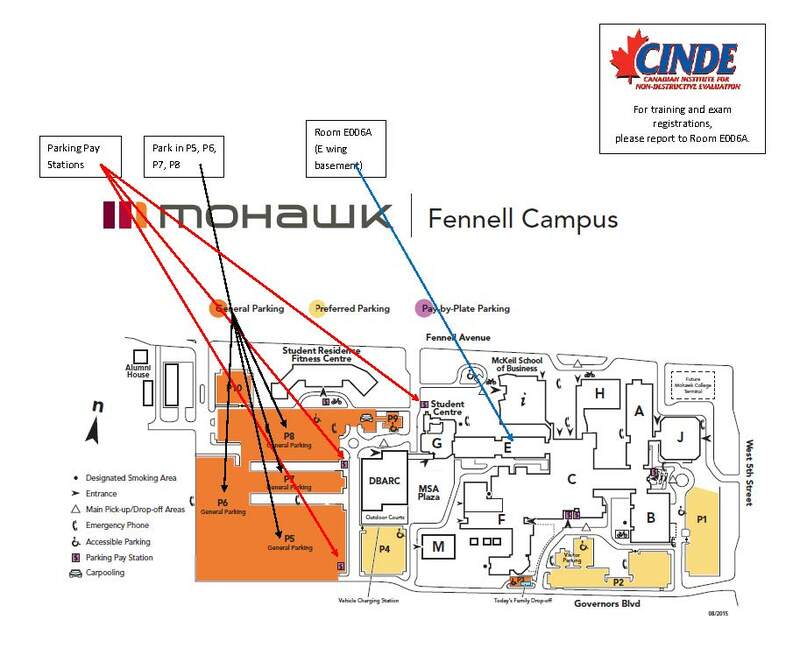 View the map of Mohawk College (Fennell Campus) here. *Please note that parking fees will apply. Mohawk College enforces parking fees. Pre-registration is required. No registrations will be accepted at the door. Register online here through your CINDE account. The CINDE Ontario Chapter Executive are proud to announce their next event, held March 18, 2019 at Durham College (Oshawa Campus). The event will be a Meet the Managers Night where each speaker will discuss what their organization does as well as what those who are new to the industry can do to stand out. View the map of Durham College Oshawa here. Please note that parking fees will apply. Durham College Oshawa enforces parking fees. With Recertification happening for a large number of technicians, it’s important to know the facts. Hear how Natural Resources Canada National NDT Certification Body (NRCan NDT CB) is approaching recertification, the steps necessary, and the timing to make sure you know everything you need to. Some snacks and beverages will be provided. Parking is free after 5pm next to the building and across from the building. Registration for this event has closed. No walk-ins will be permitted. Contact events@cinde.ca for details. Please register online by January 14, 2019. No walk-ins.